Azerbaijani Grandmaster Rauf Mammadov has ranked 5th at the Millionaire Chess Tournament in Atlantic City, U.S..
Mammadov gained 6.5 points after 9 rounds, Azertac reported. The open section of the tournament involved 31 grandmasters. The Millionaire Chess Open tournament is organized by Millionaire Chess (MC) company. With a $1,000,000 guaranteed prize fund it has the largest prize fund for Chess Open in history. 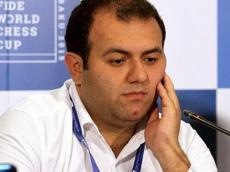 Born in Baku, Rauf Mammadov started playing chess at the age of seven. In 2004, he became a Grandmaster (GM), following his victory during international tournament in Dubai. In 2009, he tied for 1st-3rd with Yuriy Kuzubov and Dmitry Andreikin in the category 16 SPICE Cup tournament at Lubbock, Texas. In 2015, he won the European Blitz Chess Championship in Minsk. The chess player won the Azerbaijani championship three times (2006, 2008, 2015). He also played in the gold medal-winning Azerbaijani team at the European Team Chess Championship in Novi Sad in 2009, alongside Shakhriyar Mamedyarov, Teymur Radjabov, Vugar Gashimov and Gadir Guseinov, previously winning bronze medal in 2007.